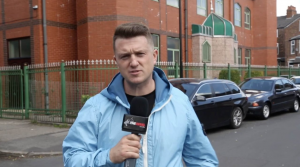 Here's why the fate of Tommy Robinson should concern us all - it's about much more than just one person - counterjihadwarrior.com - Because Islam will NEVER EVER be a Religion of Peace - rather a barbaric, totalitarian cult, based on fear, violence, intimidation & terror. counterjihadwarrior.com – Because Islam will NEVER EVER be a Religion of Peace – rather a barbaric, totalitarian cult, based on fear, violence, intimidation & terror. If YOU – as a Muslim – choose to subscribe to a genocidal anti-Semitic ideology that demands the death or subjugation of non-believers, just because WE believe in something different, then you shouldn't be surprised when WE regard YOU with suspicion. It's nothing to do with Islamophobia – simply a healthy contempt for Islam based on the observable behaviour of all too many Muslims. If you don't want the inevitable opprobrium that your lifestyle choice will generate, then the only intellectually honest thing to do is to turn your back on Islam forever. The following day, Saturday 26 May, saw an enormous outpouring of outrage culminating in a demonstration outside Downing Street in London. Many people could not believe that the country that they believed in and loved so passionately could be capable of jailing someone whose primary concern was the preservation of our freedoms, hard-won by our ancestors and forefathers on the fields of battle over the past one thousand years. Since then, we have had demonstrations all around the world, involving people of every race, creed and colour who have come to realise that our freedoms depend solely upon those who are willing to fight for them, and that if we do not fight for those freedoms when they are threatened, we will find that they have been taken away from us by those who wish merely to preserve their own selfish interests. For make no mistake, it is the cowardice of our political elites, the cowardice of our police and judiciary and the cowardice of all the other organs of the state that has allowed this situation to develop. Who now would wish to put their head above the parapet and condemn Islam for the barbaric, totalitarian, anti-democratic seventh-century ideology that it is, if it would result in their losing their job, or being publicly criticised and hounded, maybe even doxxed, and running the risk of imprisonment or worse? 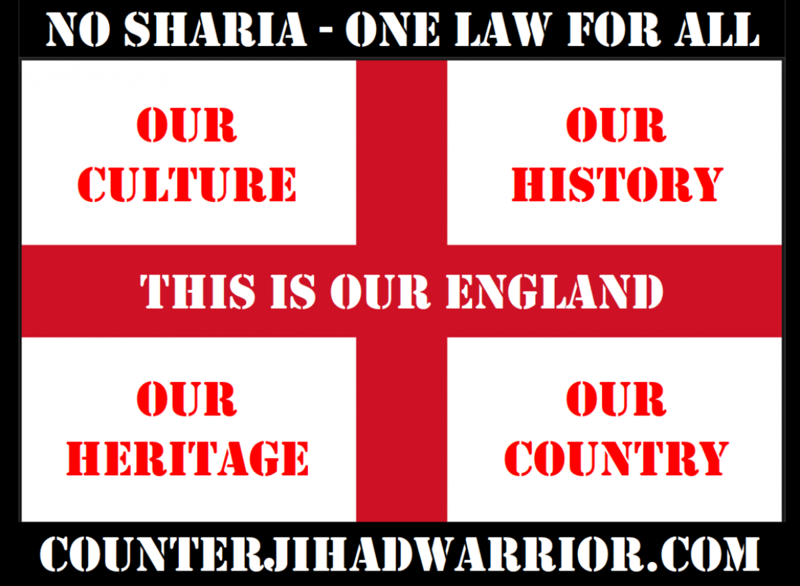 We need to stand up and say with one voice that we will no longer tolerate this state of affairs that will have only one outcome – the enslavement and subjugation of the once-proud people of Britain under the shackles of Islam, aided and abetted by the treasonous left-wing politicians and the mainstream media. We need a Reconquista of our own, a Reconquista to completely expel Islam from our Judaeo-Christian democratic societies, not only throughout Britain but throughout the whole of Europe. Despite the predictable attempts of the mainstream media to smear him as a “racist”, “bigot” and “Islamophobe”, Tommy Robinson is just the man to lead the charge. He has the tenacity of the Duke of Wellington and the doggedness of Winston Churchill in the face of adversity, and I exhort you all to support Tommy in whatever way you can, whether it be by demonstrations such as the one planned for Saturday 14 July in Whitehall, or by simply raising awareness among your local communities. Write to your MP, or perhaps attend their constituency surgeries and remind them that they are there to serve “we the people” rather than to simply line their own pockets. Every MP who cares about freedom should make the freedom of Tommy Robinson one of the top priorities, if not the top priority, on their agenda. Whatever you do, don’t let Tommy languish in vain in one of Her Majesty’s Prisons, surrounded by Muslims who would kill him without a second thought if they had the opportunity, just because he has spoken out against the depredations of Islam and its tendency to produce large numbers of violent, criminal and anti-social people – people who are commanded by Islamic scripture never to assimilate or integrate into other cultures and communities, and certainly never into our civilised Western communities. I am sure that most non-Muslims, if they were asked, would say that they would prefer to live in peace with their Muslim neighbours, as equals, in perpetuity. The truth is that Islam simply will not allow this to happen, and every non-Muslim needs to understand this truth, rather than to accept blame from others (or to blame themselves) for not being sufficiently charitable and understanding concerning the all-too-frequent violent, criminal and anti-social behaviour perpetrated by Muslims in our societies. Unfortunately Tommy may well be murdered in prison now that he’s been moved from the safety of Hull. If his life is put in danger, then the government is fully responsible. A swift change in who runs this country is overdue. As is the current system of criminal punishment. The government and elite are guilty of an overwhelming amount of treasonous behaviour, which should be punishable in the old fashioned ways. Everyone should be a patriot. Our freedoms depend on it. I’m trying to purchase his book Why Muslims Kill. Amazon banned it. H&M’s N says they never sold it. Anyone know where it can be purchased?